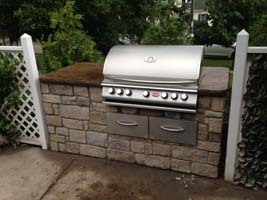 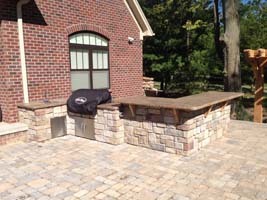 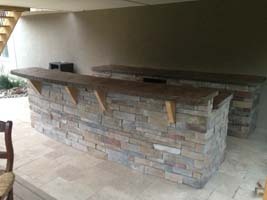 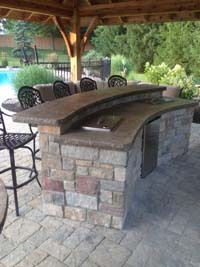 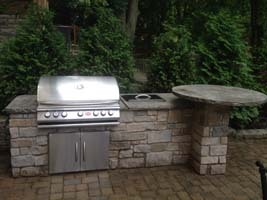 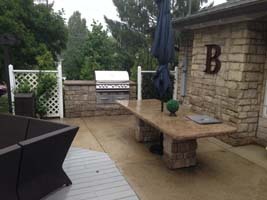 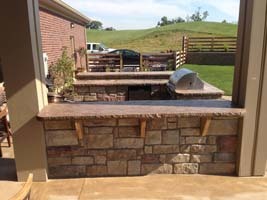 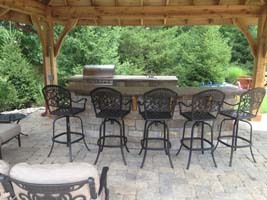 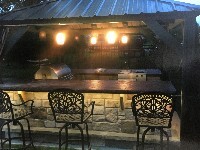 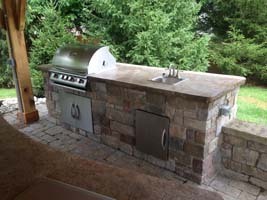 Bar and Grilling areas are an easy way to step up a typical backyard feature. 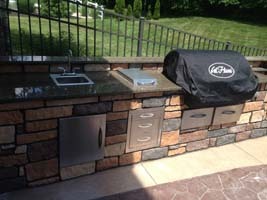 With numerous options of stone and countertop material you are guaranteed to find something that suits your style. 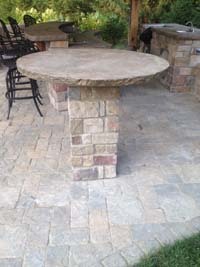 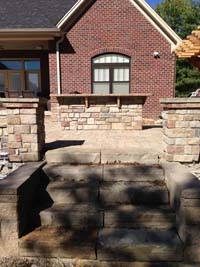 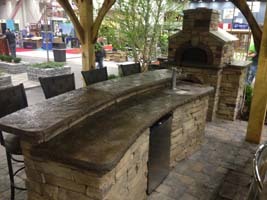 Some options include a variety of stone, granite, and concrete to make that one-of-a-kind look. 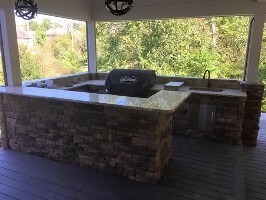 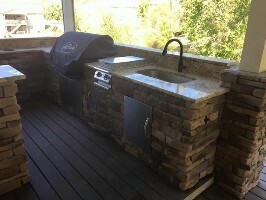 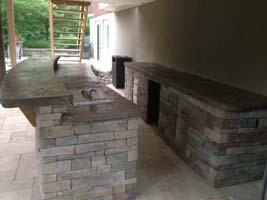 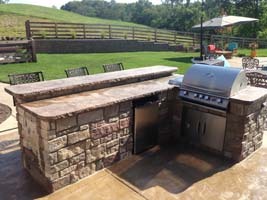 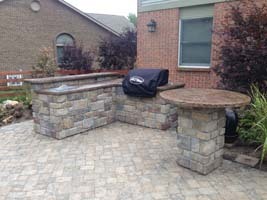 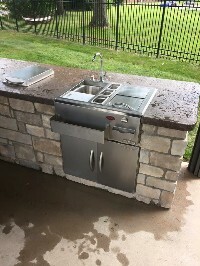 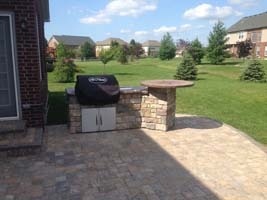 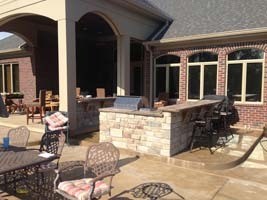 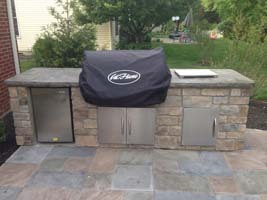 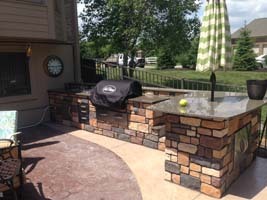 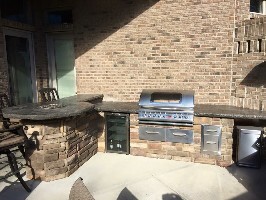 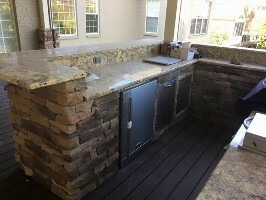 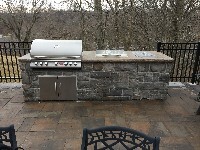 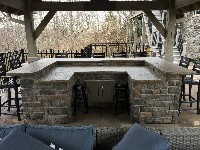 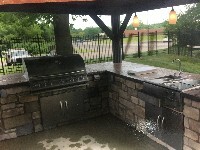 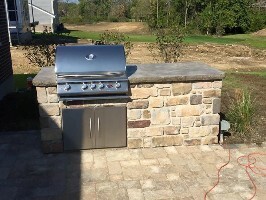 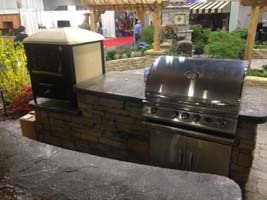 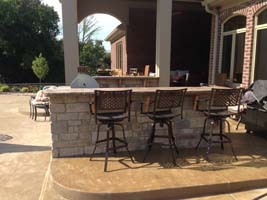 Whether you're interested in just a grilling area or a full bar, you and customize your area to fit your specific needs.